Klayman: There Is No Honor Among "Democrat Thieves": They Will Kill Each Other Over Biden Like Shiite and Sunni Muslims Over Mohammad! 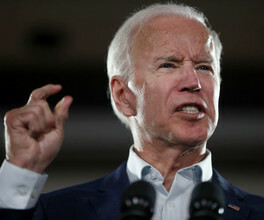 President Donald Trump suggested recent criticism targeting former Vice President Joe Biden is the product of a campaign launched by some left wing Democrats, Politico is reporting. Trump's comments came Tuesday during the spring fundraising dinner for the House Republicans' campaign arm. He suggested Biden, who has yet to announce any plans to run for president, is "being taken care of pretty well by the socialists."